We live in a culture that is disconnected from the earth, severed from ancestral roots, obsessed with light and noise, out of touch with nature. Rune wisdom can help us find our way home, bring us back into balance. This is especially meaningful for those of us with Northern European and British Isle ancestry. Rune wisdom is ancient earth wisdom that guided the lives of indigenous Northern European tribes. 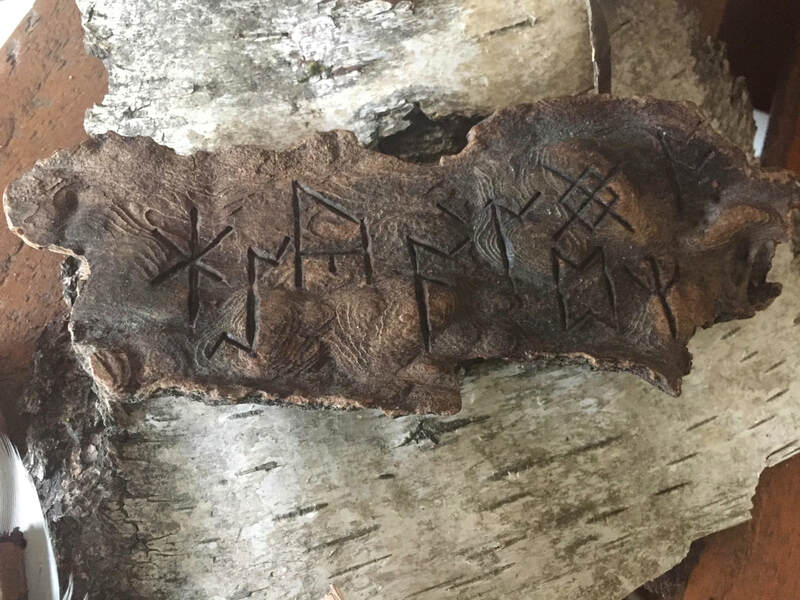 Runes are not a magical alphabet brought to us by the Vikings. Their origin is primal and powerful, sourced from the waters of the Well of Remembering hidden deep in the roots of the World Tree. During this presentation I will take you on a journey to the ancestors exploring ways to unlock rune secrets by listening to their whispers and exploring the dark. Some things can only be heard in the silence. ​Some things can only be seen in the dark. My work is rooted in the native wisdom traditions of my pre-Christian European ancestors. I'm dedicated to helping people reconnect with their roots, reclaim their heritage and heal ancestral grief. Signed copies of my book, The Runes Revealed-an (un) familiar journey, will be available for purchase. This presentation will also be recorded live. The recording will be available for purchase by those who cannot attend the live event. You can email me for more information.